Today at four o’clock, the Joint Review Board is scheduled to review Whitewater’s tax incremental districts. 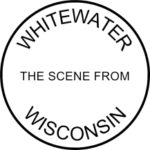 Views of tax incremental financing – especially in a place like Whitewater – are a good test of someone’s basic understanding of economic development. (Emphasis added.) See A Candid Admission from the Whitewater CDA. Notice how revealing Kachel’s remarks are: he touts tax benefits to investors (who are often outside the city), but is silent on income benefits to residents who actually live here. If one cannot show meaningful wage growth for individuals and families, after a generation of project spending, how has there been meaningful ‘community development’ for Whitewater? Immediately below, see the fifty-seven pages signifying generational failure that will be before the Joint Review Board later today. Thereafter, see a sound analysis of tax incremental financing, in the place of one-too-many unsound local press releases.